If there is only one word to describe the entire off page optimization strategy, it would be backlinks. 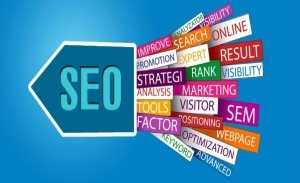 Nowadays, backlinks are the biggest factor that affect your site’s capability to rank in search engine listings. I’ve seen blog pages that rank on top of the result page without much content but a lot of inbound links. The fact is when many other sites vote for the topical relevance of a particular page, those votes have more weight than any on-page factors combined. Sure, on-page optimization is still important. A page about rose gardening should contain the keyword at least once. That is just natural, except the page is a video page, of which you still can include a few lines or paragraphs of description in it containing the keyword. It’s simple. Webmasters and bloggers have less control over off-page optimization. While there are ways to gain a lot of inbound links, it is almost impossible to get links from some blogs unless the bloggers also see your pages as relevant to what they have to offer to their readers. Of course, not all inbound links have the same weight too. A backlink from authority blog in the niche will boost your ranking and transfer authority to your page and site more than 100s of average or low authority blog pages. That means you can’t just randomly get links from many blogs or sites around the Internet and hope to propel your ranking to the top. While certainly the number of inbound links to your site can make a difference, there are more factors to consider. PageRank used to be a big factor that determines the authority of a page. While at the moment a lot of people would disagree, still it says something about the page. If a link is not the same as others, which counts more than the other? The following is the list of inbound link attributes. They are listed in no particular order. In fact, no one can be sure exactly which attribute has more significant value than others. However, based on various experiments, one can determine if certain attribute matters to page rankings. This could be the biggest factor because it allows search engines to determine the relevance of the linked page to the keyword in the anchor text. For those who haven’t know yet, anchor text is the underlined text in a link. If a link says rose gardening tips, the linked page may be of relevance to rose gardening or rose gardening tips. Anchor text is important, but analyzing the text surrounding the link can also help because not everyone links to a page using the exact keyword. Some bloggers tend to use one or two words, or sometimes the more generic “click here” anchor text. This may not be as powerful as anchor text, but still a factor. It probably will become more important in the future. If enough sites link to your site page with the same anchor text, such as rose gardening tips, it is hard to judge otherwise. Your page must have to do with the topic in the anchor text. Again, volume counts, but there are more factors to that than just merely numbers. A linking page has to be at least topically relevant to the linked page. That just makes sense. A page about robotic will less likely link to rose gardening pages, unless of course, the page is about a robot that is able to take care of the garden for you. That doesn’t mean you have to get backlinks only from a site similar to yours. 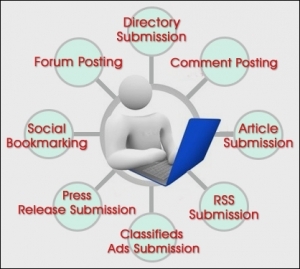 There are sites that are the authority in almost all topics such as article directories and newspaper sites. Moreover, some SEO experts think topical relevance is not an exact thing. For instance, a link from lifestyle web site to a page about rose gardening tips still holds some relevance. Obviously the higher the authority of the linking site, the more significant the power of links from the page can be. One high authority link can be as powerful as tens or even hundreds of backlinks from average or low quality pages. The anchor text help determine topic, while the link popularity or authority of the link specify the amount of influence. Getting random links from other sites may help, but if none of the links are from sites in the same community, it can be hard to rank within that niche. The more authority a site has, globally and within the topical community, the more important its link is to the other pages or sites in the same niche. Again, thematically related sites may still be an obscure thing but generally speaking as the theme of the linking and linked pages and sites becomes more similar, the influence may also heighten. Obviously the longer the links stay there, the better. That means the pages are there to stay, instead of just dynamic contents that change over time. If the internal page that links to the page has high authority, it also transfers it to the linked page. Using the right anchor text and channeling the links properly to the right pages can help search engine rankings tremendously. Domains with .edu and .gov are move valuable because they often have a lot of trusted links pointed to their pages. That makes the sites to have high authority. Getting links from such domains is a way to boost authority, because it has better influence than a lot of average links from new sites or new blog comments. Not all links are created the same. While in theory inbound links are used because they are more natural than off-page optimization factors, they are not prone to manipulation. However, quality of contents still help when it comes to the distribution and viral effect of the contents, which usually means more inbound links to the contents. Combining both good quality content and inbound links is the key to rank for any keyword in the search engines. Theoretically, if you can surpass the amount and quality of inbound links of a top ranking site, you are able to replace the ranking. Ever wondered how link building consultants and companies index client’s websites in major search engines so quickly? and the key to a successful off page optimization campaign is the proper utilization of inbound text links to a website. By increasing the inbound text links of all the pages of the website you can increase the PageRank (PR) and links as well. Google PageRank does not apply to the website as a whole but to each individual page, that’s why you need all websites to have deep online link building carried out in order to increase each individual page’s Page Rank and its overall importance. Each page on your website would be targeting different keywords and each page would require a linking campaign so that it can generate traffic and a return on investment. To push your site towards the top of search engine result pages, it’s important to have many web sites link to your site. Incoming links (also known as inbound links and non-reciprocal links) have gained unprecedented importance in high ranking of your website. 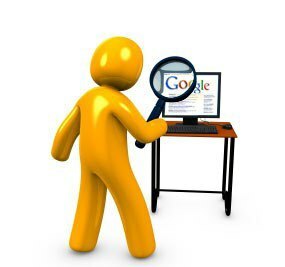 All major search engines, including Google, Yahoo, MSN, rely on this off-page factor i.e. Link building to determine how important your site and rank it high accordingly. On page optimization is not enough to get you good rankings. A sufficient number of good incoming links helps your website beat the competition to rank high in search engine results. In addition, text link ads also provide ways for customers to reach your website: to click and navigate to your site. Text links boosts your search engine position, thus driving potential customers to your site.